DirectX 12 promises both dramatically increased performance in games, thanks to reduced CPU overhead and better support for multithreading, and significantly reduced power consumption, a real boon for owners of gaming laptops. It will of course be built into Windows 10 and compatible with Windows 8 as well, but the news isn't so good for Windows 7 diehards. Speaking at a PDXLAN presentation earlier this month, AMD's Chief Gaming Scientist Richard Huddy said Windows 7 remains Microsoft's most popular operating system: 52 percent of all Microsoft OS users are still on Windows 7, and that number is actually growing. "It's a very, very popular operating system," he said in comments starting around the 20:30 mark of the video. But in spite of that, or perhaps because of it, he continued, "One thing that's not going to happen to it is DX12. Yup, DX12 is not coming to Windows 7." The Steam hardware survey confirms the popularity of Windows 7—47.8 percent of users run the 64-bit version, compared to 21.4 percent for the second-place finisher, Windows 8.1 64-bit—but the lack of compatibility isn't entirely surprising. It's getting a bit long in the tooth, and as we noted in its announcement, Microsoft isn't shy about using new, better APIs to "encourage" people to upgrade to a new version of Windows. Let us also not forget that Microsoft announced this past spring that mainstream support for Windows 7 will come to an end in January 2015. Windows 8 obviously hasn't caught fire and at this point obviously isn't going to, so I would expect Microsoft to be more aggressive in pushing Windows 10. 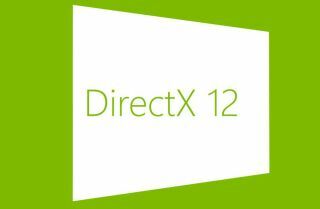 But if DirectX 12 can actually deliver on its promise, I'd be willing to bet that a lot of us Win7 laggards won't really mind.